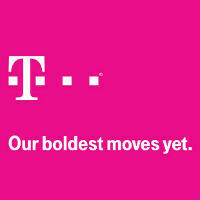 T-Mobile promises "bold moves" at July 10th press event: UNcarrier Phase 2? T-Mobile has sent out a new notice that it will be holding a press event on July 10th in New York City. The notice obviously doesn't give any indication of what will be the topic of said event, just that it will feature the carrier's "boldest moves yet". That doesn't say much, but given recent rumors and leaks, we have a pretty good idea what will be announced. Yesterday, we saw a leak of a play sheet from T-Mobile which has two big dates on the calendar. The first was July 14th, which was simply labeled "Major EIT Release". The assumption is that day will be the start of T-Mobile's UNcarrier Phase 2 plan, which would remove the need for a credit check when signing up for service. Whether or not that is accurate, there is no doubt that whatever is happening on the 14th will be announced on the 10th. Also, the play sheet shows that the Nokia Lumia 925 and Sony Xperia Z are scheduled for launch on July 17th, so it would make sense that T-Mobile would give the details of those product releases at the event. Whatever is announced, we'll let you know the news as it happens. XPERIA Z AND NOKIA ANNOUNCEMENT. Times like these wish I was on T-Mobile. but dont know how good there 4G is in my area.